Spook Up Your Deck- Halloween Deck-O-Rating! Utilize the steps– Using the steps to your deck; add rubber spiders and webbing, but make sure they are safely on the back or sides. 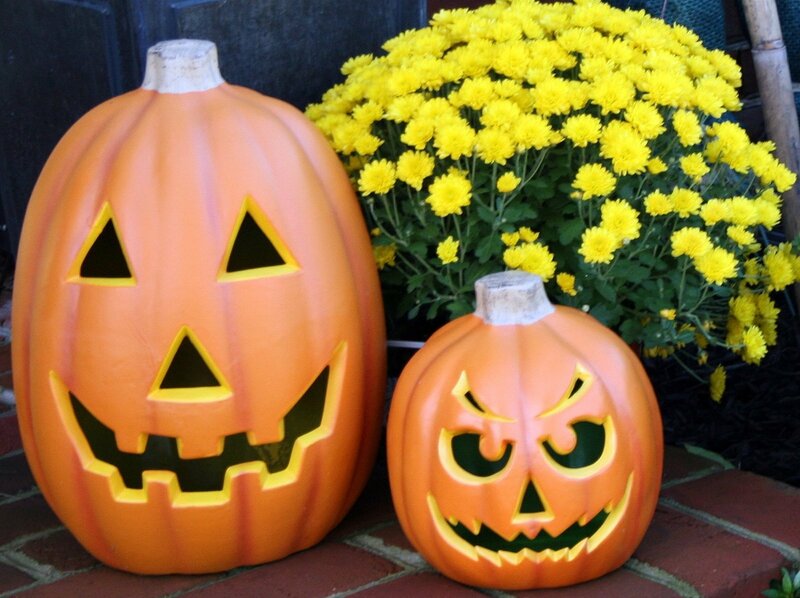 Carved or Painted Pumpkins- There are many creative ways to use pumpkins as decoration. You can drill holes in special patterns and add a candle to shine through, or if you have a squirrel problem, painting may be your best option! This is also a great way to get the kids involved in the decorating process! Spooky Skeletons- If you are looking to add a little fear factor to your deck during the Halloween season, you can purchase plastic skeletons that can be maneuvered however you like. Bend the joints of the skeleton to make them look as if they are climbing up your deck or onto your home. You can add fog, lights, or gravestones to enhance the look even more! These are just a few of our ideas on how to decorate your deck for Halloween. We have shared much more DIY inspired ideas for patios, porches, or decks on our Pinterest page. Be sure to check them out and share some of your favorites! We would love to see what you have come up with this year! Be sure to share your Halloween inspired decorations on our Facebook page! Fall is a great time to have a deck built in Michigan. Because temperatures are dropping and building conditions aren’t so “perfect,” you can save tons of money on your build! With the demand lower in the fall or winter months, you can save nearly 20% with an offseason build, talk to our professional deck builders today for more information!